You put film on my beautiful picture windows. [Before the film] I loved the view they gave but the rooms were so warm in the summer. The film worked great. Made a huge difference in the heat and also protects our furniture from fading. Money well spent in my opinion. We've had a wonderful experience with Serge and his team. The product that was installed provided privacy, but yet allowed light through to the apartment, which is exactly what we were hoping for. Serge and his team were efficient and timely and easy to get a long with. The product has withstood the elements and general wear and tear with outstanding performance since it's installation in September. We chose the same product for our most recent installation for the same reason. We folks at the Tupperville School Museum are exceptionally pleased with how the window film application turned out, both from the inside and outside. It is early days, but it seems cooler inside the building than last summer. The "look" of the building is much improved. One aspect we really like is the absence of glare. I love my new windows. Even regular customers have wondered why the shop did not have its usual suffocating heat in this really hot summer we are experiencing. When I tell people about the tint they are most impressed by the fact that you can not tell the window has anything on it. I had been afraid it would turn the window grey coloured but that is not the case and I can now display items in my shop window without the fear of fading within a few days. It’s great. Customer service was excellent. Bert was not out to impress me with big technical terms. He just explained the process in simple everyday language and when the quote was given by email the company informed me that if I was willing to wait a short while to see if any other job was to be done in my area then the price for travel time to the island would be reduced. It was refreshing in these hard economic times to find a company with such integrity and fairness towards its customers. They could have let the quote stand and I would have been none the wiser. The installer, Denny, had to scrape around the window (it’s old and puttied) and when he was finished he cleaned up every scrap of dirt and dust. I would certainly highly recommend this company and its courteous staff. In March 2002, we contracted Maritime Window Film Specialists to install “Sun Control Window Film“ on all our windows in our newly acquired Condo unit. The intent was primarily to minimize the negative effect the sun might have on our furniture and wood floors, and to offer additional privacy through appropriate window shading. After 10 years, and to our agreeable surprise, not only have our expectations been met, but we have also noticed a subtle reduction of heat intrusion in the summer and less heat loss in the winter. Needless to add that we are experiencing impressive savings due to this phenomenon and can readily compare to similar costs with previously owned Condo Units as this was our 5th Condo acquisition. The film product has proven easy to clean, and problem free. In March 2009, we acquired another new Condo Unit and, as one of our first upgrades, we contracted for the installation of the same product without hesitation. 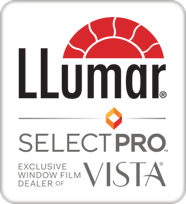 Our relationship with the good people at Maritime Window Film Specialists, Chris and Denny LeClair, made this decision easy as we deem their service, professionalism, and personable approach to be outstanding. We feel that our investments were both positive and pleasant experiences and have shared the same with friends and relatives who also now share our sentiments. We would strongly recommend Maritime Window Film Specialists and Solar Window Film to anyone who are considering such an investment now, or at any time. I don't remember how long we've had the tint on our living room window but it's still perfect and we love it. Thanks! Blinds are up, glare and heat are down and am enjoying the view. Thank you so much for the great job you and your crew did yesterday in the blistering heat! I have been using Maritime Window Film for all our window film and tinting needs for many years. I have always found them to provide a professional, reliable service along with a product that lives up to expectations. Over the last several years we have used Maritime Window Film in every one of our projects, ranging from office buildings to senior living facilities, situated around Nova Scotia and New Brunswick. We have applied their solar film to the exterior of our buildings, to control heat gain and to add a sophisticated bronze affect. With regards to our interior glazing, we have applied many variations of their decorative interior window film to create captivating views and privacy for our common areas, including bowling alleys, salons, theaters and offices. For every project we interact with many suppliers, manufactures and installers. Maritime Window Film are always one of the most enjoyable companies to work with, from the design graphic process through to installation. I always look forward to a new project with Maritime Window Film! I’m indeed very happy with the new EnerLogic product. It’s an excellent idea that works and I love the fact that is sustainable approach. I will have no problem what so ever to promote this product. As a public service employee working for accommodation and facility group, occasionally we have a request for installing window film in various office locations for security reason or just enhancing privacy. On every occasion when we contacted “Maritime Window Film” company we have always been pleasantly surprised by the professional approach and level of knowledge they provided I should mention here as well about the company’s very pleasant and polite personnel. They will always make a phone call to follow up on the job and to make sure they met clients satisfaction. I strongly recommend “Maritime Window Film” for any project, even if it is just one window…I wish you all the best “Maritime Window Film”.